originality in fashion has long been a contentious issue – what is homage to one person is to another, a simple reflection of the industry’s copy-cat culture. so when diet prada, the instagram account recently famed for airing fashion’s dirty laundry, set its sites on french fashion brand jacquemus for its oversized straw hat blunder earlier this month, the fashion history lesson that quickly ensued was no surprise to the profile’s 600,000 followers. 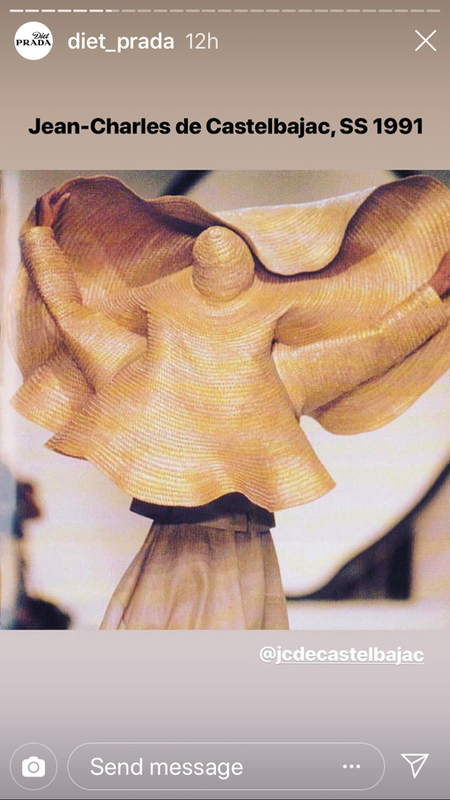 it was however, a well thought out and thoroughly articulated mapping of a statement piece that not only precedes the ‘saint tropez’ styling that has spoiled it in current trends but also the countless iterations that have treated it in the last several decades. simon porte jacquemus, of the eponymous label-of-the-moment, introduced straw hats into his provence-inspired collections for the first time in 2017. in a bid to capture an exaggerated essence of the south of france he then revisited the style in an XXL version for his ‘la bomba’ collection. since then these straw hats have become the summer’s most popular instabait crowning the head of many a supermodel, from kendall jenner to emily ratajkowski. it was an easy mistake then after vogue mexico posted an image of bella hadid wearing a strikingly similar version, that jacquemus quickly regrammed in celebration of what he thought was some great product placement. however, the hat was actually designed by a lesser-known and local mexican brand called olmos & flores. after being called out by diet prada, and quickly deleting its posts, what is interesting is that in the last few weeks that have followed there has been no dampening down on what is clearly a hugely successful stride in popularising the statement hat. its useful to note however that this is usually the case for most designers when they choose to riff off an ever present trend at a time when the spotlight is very much on their person. 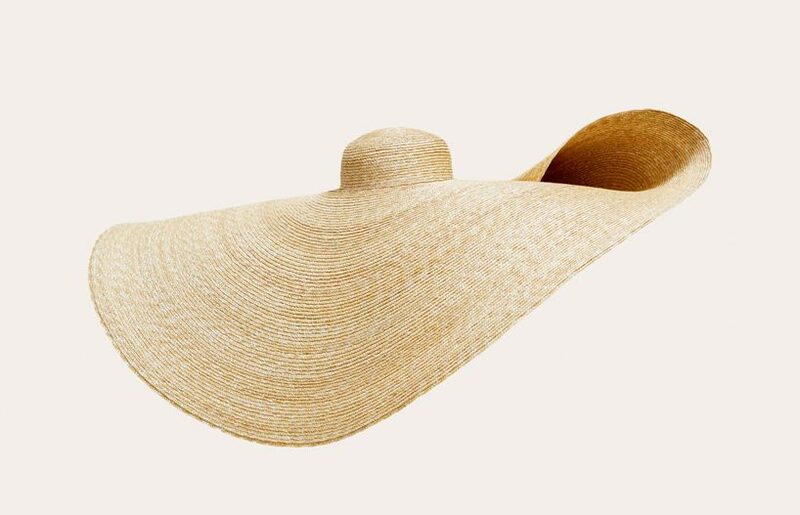 yet with the help of diet prada’s mastering of the history books, its clear the over-sized straw hat has had many appropriations along the journey towards its most recent stardom. 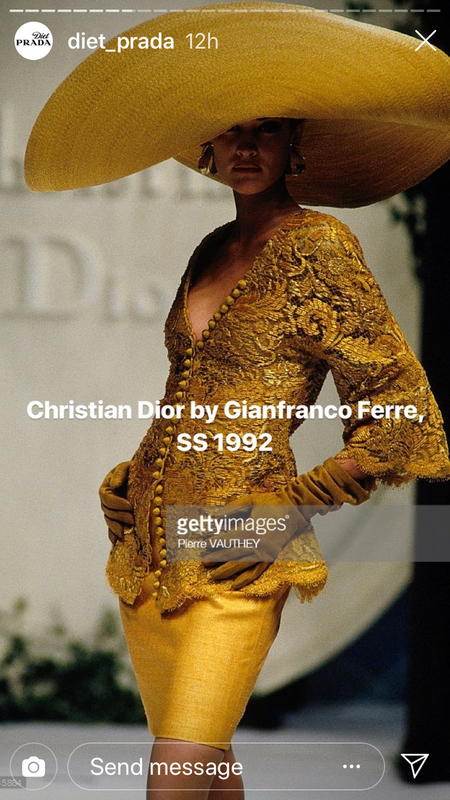 whilst shown here in the early noughties and nineties, straw hats are believed to have been worn in europe and asia as early as the 15th century. distinguished by their woven makeup of different types of straw or fibers similar in texture and strength, they were typically worn by rice paddy workers to protect them from the sun and the rain. legend even has it in vietnam, that they originated when a goddess descended from the sky wearing an enormous hat made of four large leaves stitched together by bamboo sticks, which protected the people from a torrential downpour. 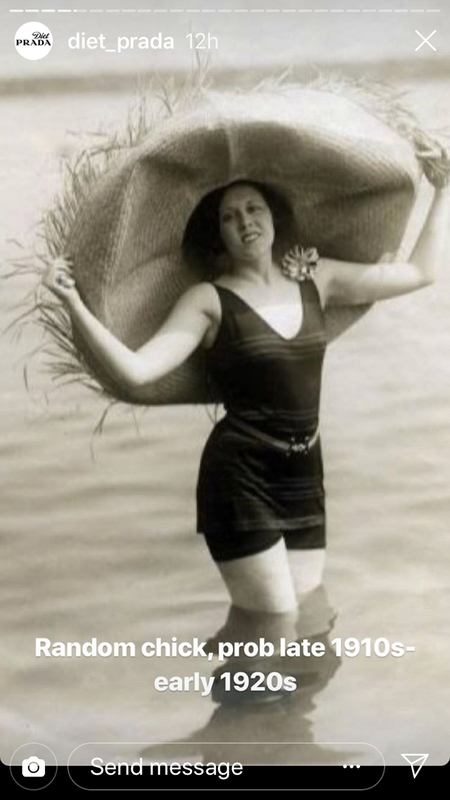 in the centuries that followed, straw hats were embraced by everyone, sharing iconic moments with artists like vincent van gogh, immortalized in his self-portrait of 1887, and presidents like theodore roosevelt, who in 1906 was photographed at the panama canal wearing a straw hat of the same name. soon becoming ecuador’s number-one export, in the west they were fast adopted as a beach essential continuing to attract icons like brigitte bardo before fashion labels began adopting and reworking the statement piece – anna sui, chloe, chanel and gucci to name but a few. lengthened crowns, widened brims, new materials and unexpected colours, it has been renewed time and time again. 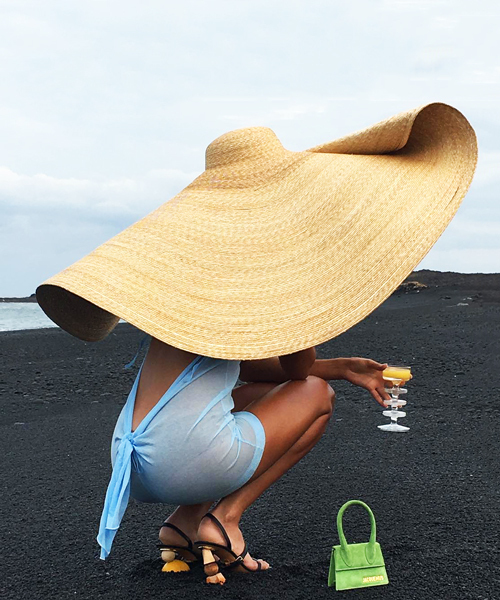 and whilst its most latest revival might closely echo one or two from the past, jacquemus’ love of the straw hat is another demonstration of its ability to transcend fashion genres as well as the industry’s love of an old piece made new again. alongside this, diet prada’s interrogation of what is actually quite a little-known blunder (perhaps an indicator of the industry’s star pupil treatment) is a reminder to the media to plot brand’s successes within a historical narrative that dates a little further back than the timestamp on the designer’s most recent instagram post.